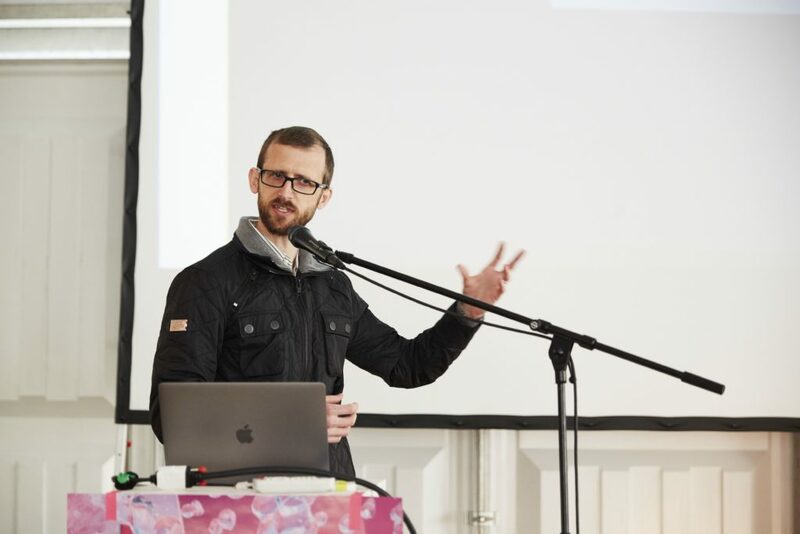 On Thursday, April 26, the international arts and science research conference Clash of Realities (12-14 November 2018) hosted a guest track for the first time at the 7th A MAZE. / Berlin – International Games and Playful Media Festival in Berlin. The track dealt with the fundamental question of how the procedures and results of academic and artistic research relate to one another. Under the title “Academic and Artistic Research” the conference featured a selection of renowned scientists as well as outstanding projects that embody the interface between academic and artistic research. 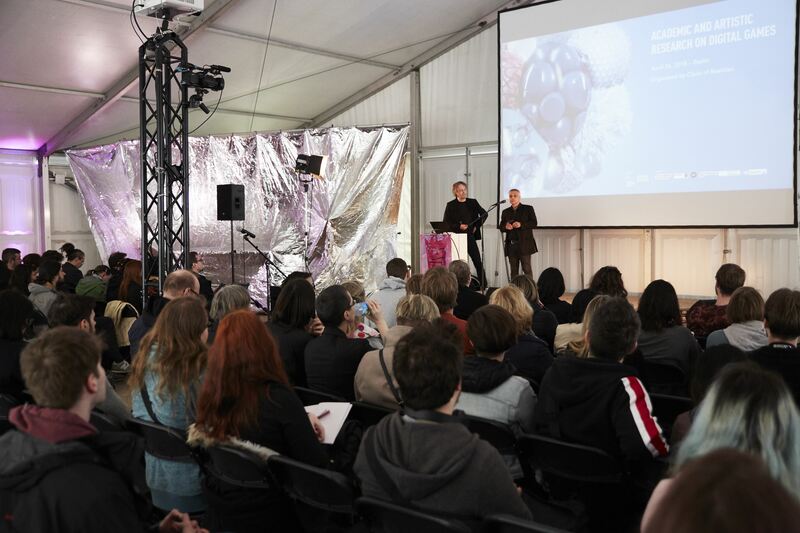 Directors of Cologne Game Lab Prof. Björn Bartholdy and Prof. Dr. Gundolf S. Freyermuth introduced the “Academic and Artistic Research on Digital Games” track at the A MAZE festival. Prof. Dr. Frans Mäyrä, director of the Finnish Center of Excellence for Game Culture Studies of the University of Tampere (UTA), showcased the work of the UTAgamelab in his keynote presentation titled “Potentials of Multidisciplinary Collaboration in the Study of Future Game and Play Forms”, which for many years has been working at the interface of the arts and social sciences as well as design research. 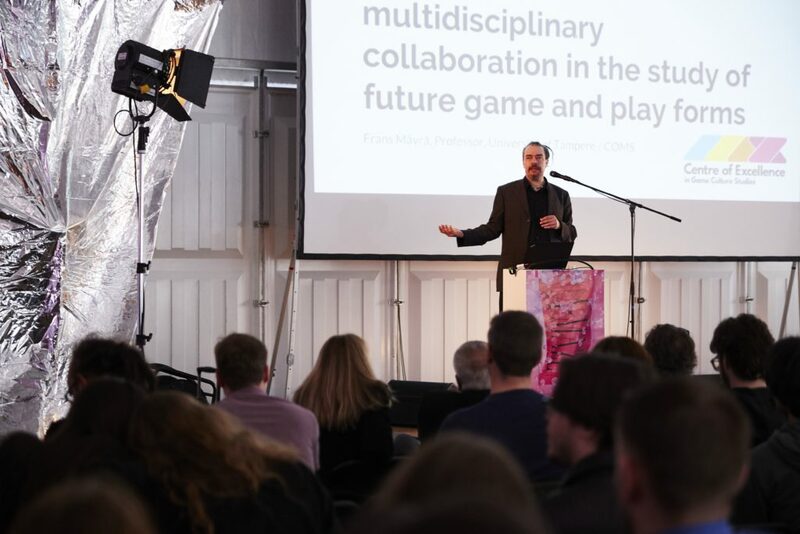 Based on his experience combining scientific and creative work, he discussed the importance of multidisciplinary collaboration in game research. 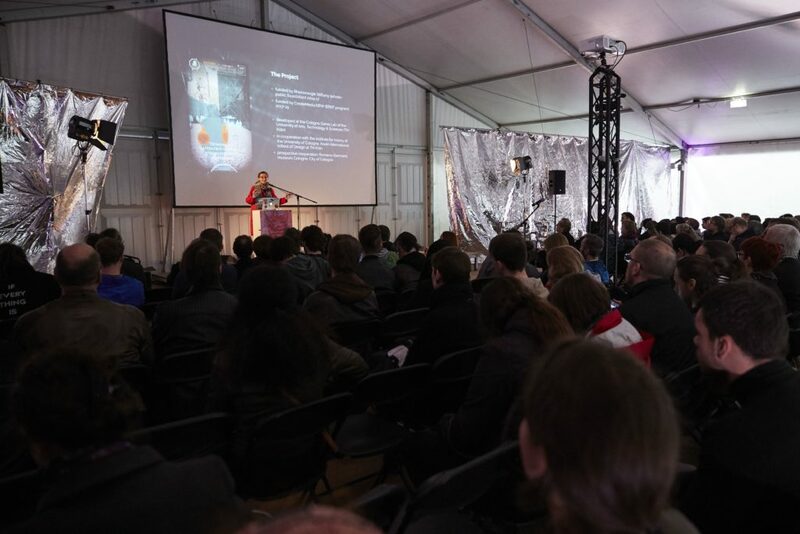 Cologne Game Lab’s Katharina Tillmanns presented her work on the augmented reality games app Porta Praetoria C.C.A.A., designed for children and young adults to explore the Roman history of Cologne. 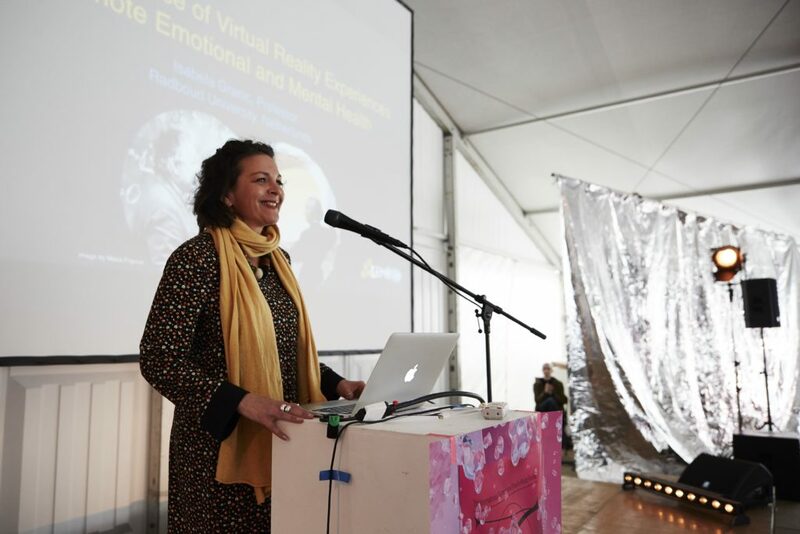 Prof. Dr. Isabela Granic of Radboud University, the Netherlands, shared insights on virtual reality projects like DEEP that combine neuroscience and developmental and clinic psychology to create virtual experiences that can improve emotional health. 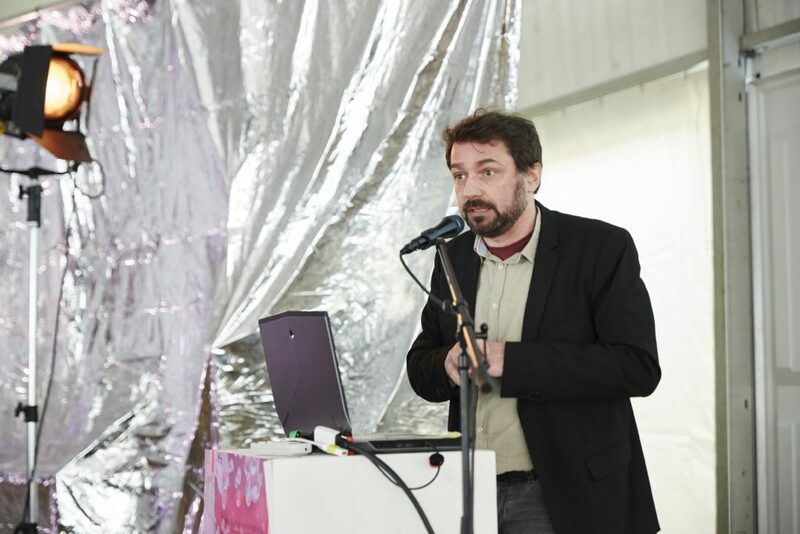 Prof. Dr. Pippin Barr of Concordia University, Canada, gave the closing keynote titled “Materialising Game Design”, in which he presented methods that make otherwise invisible processes of game development experiential for gamers.